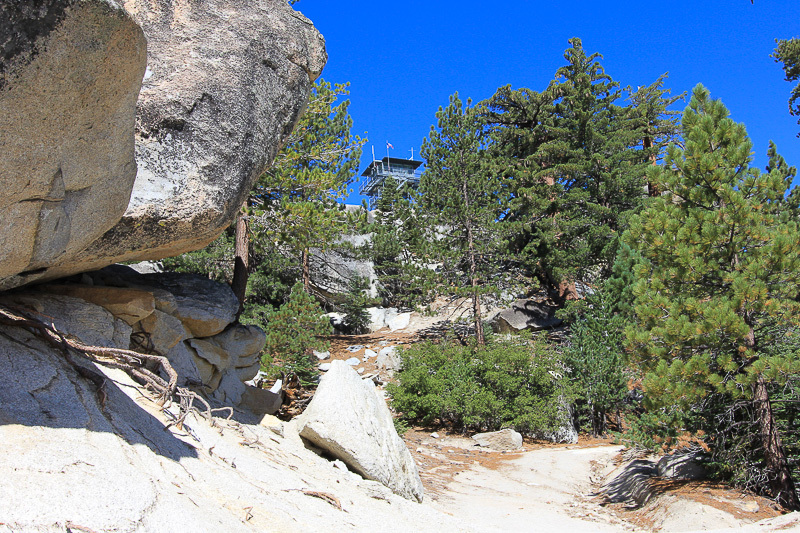 August 13, 2014 - Today's adventure brought us to the San Jacinto Mountains to see the Black Mountain Fire Lookout, (elevation 7,772 feet). 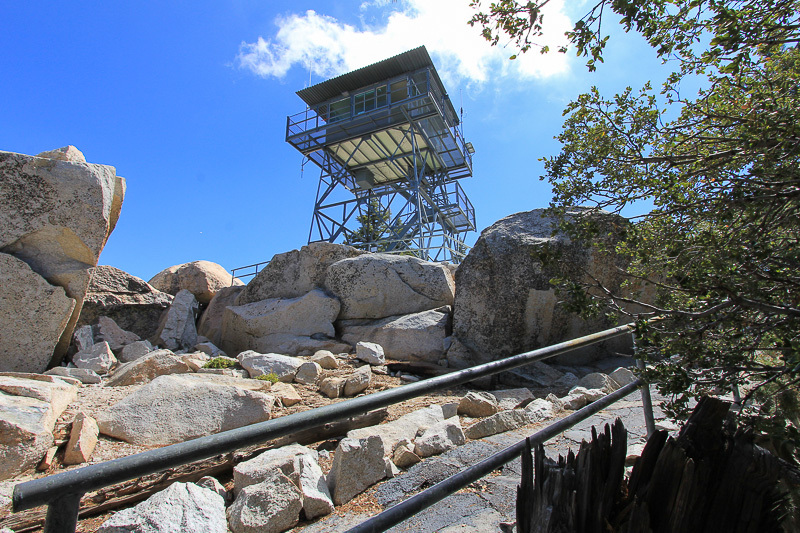 Built in 1926, Black Mountain was the third lookout built in the San Bernardino National Forest. 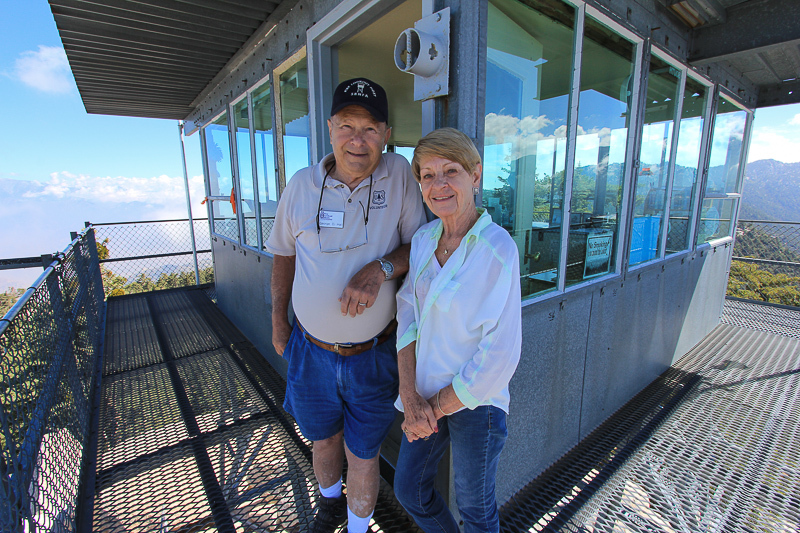 In 1935 the original lookout was disassembled and rebuilt on Barton Peak, however the lookout that sits on Black Mountain today was completed in 1962. This was our third trip to a lookout, and it was the most difficult. 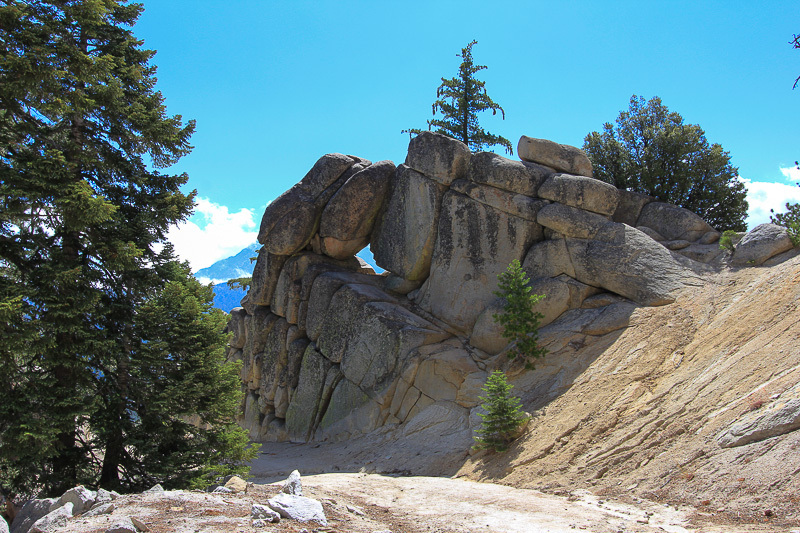 It was a five mile drive on a dirt road that had recently been partially washed out by storms, with gullies and stones everywhere. 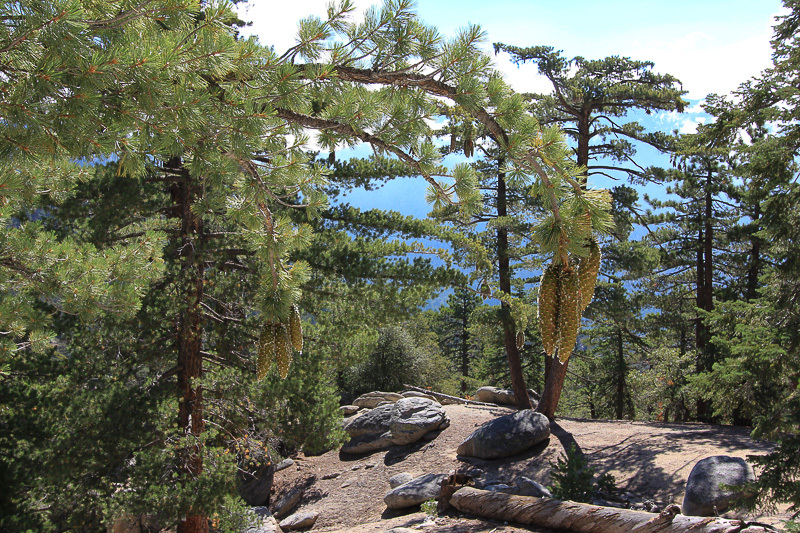 After that we had to walk a quarter mile up a steep dirt track, but at least the scenery was beautiful. 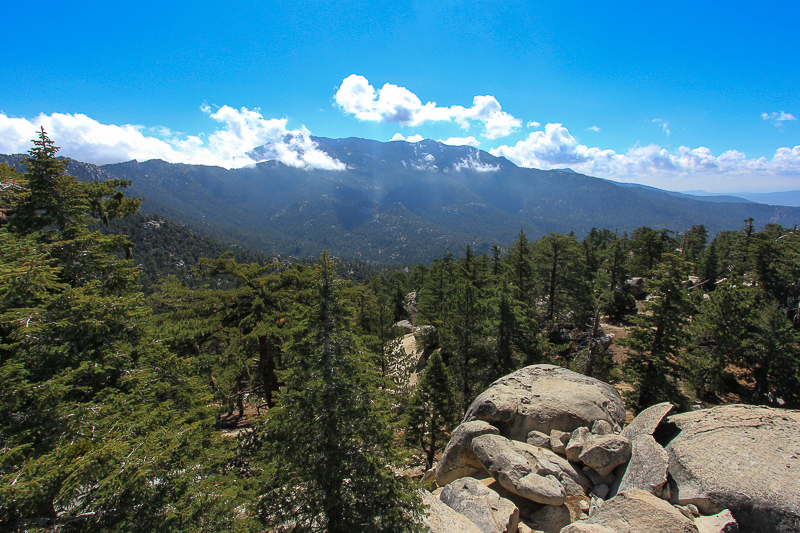 Black Mountain has spectacular views of the Santa Rosa Mountains, the Mt. 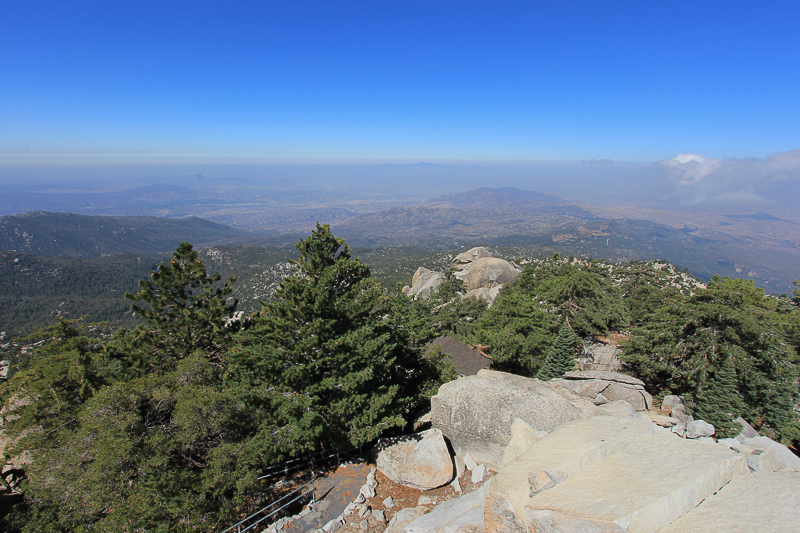 Palomar Observatory to the south, San Gorgonio Pass to the north, and on a clear day, you can see as far as the ocean to the west. Today's mists prevented our ocean views. 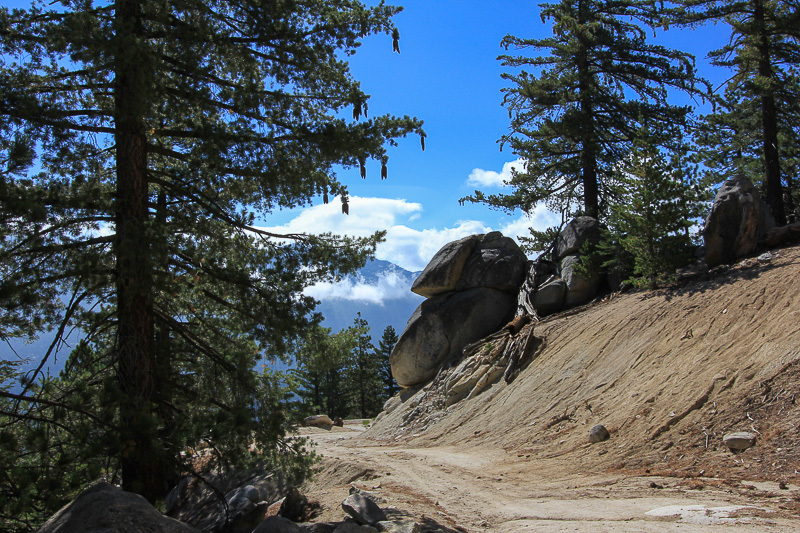 The volunteer lookout on duty today was George Hall, who lives in nearby Idyllwild. 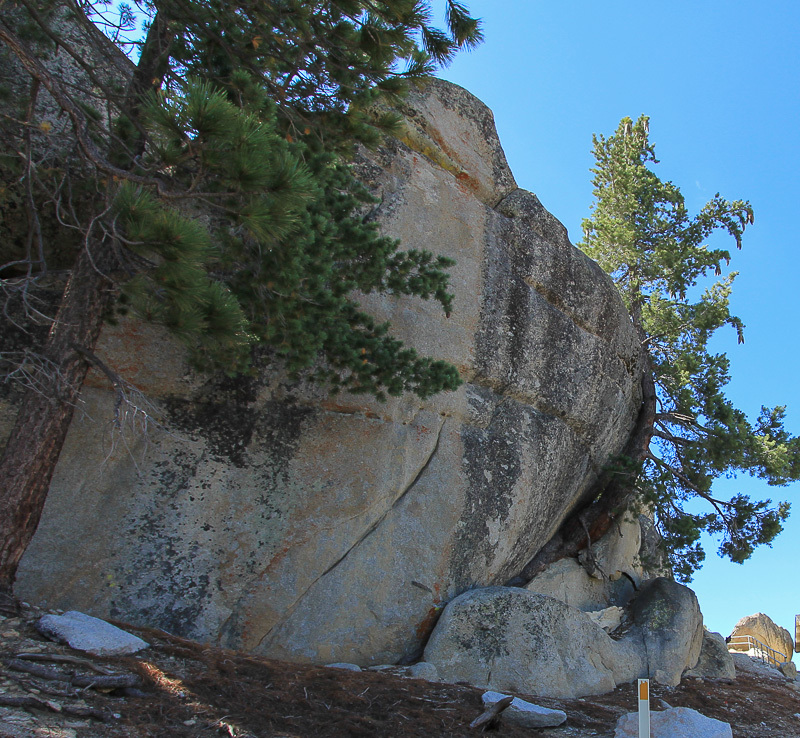 As we left the lookout we noticed a little graffiti that someone had painted on a large boulder. It appears to be man holding onto a cliff for dear life. The views on our walk down were gorgeous. 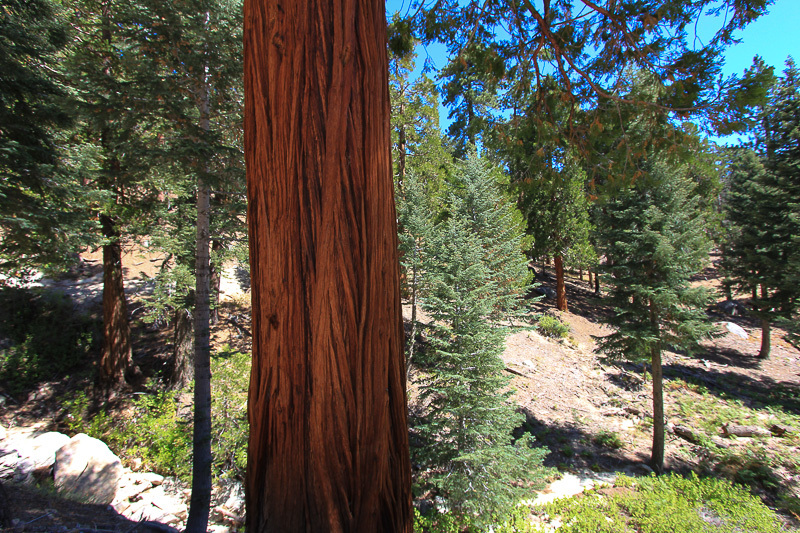 The bark of this redwood tree was beautiful. 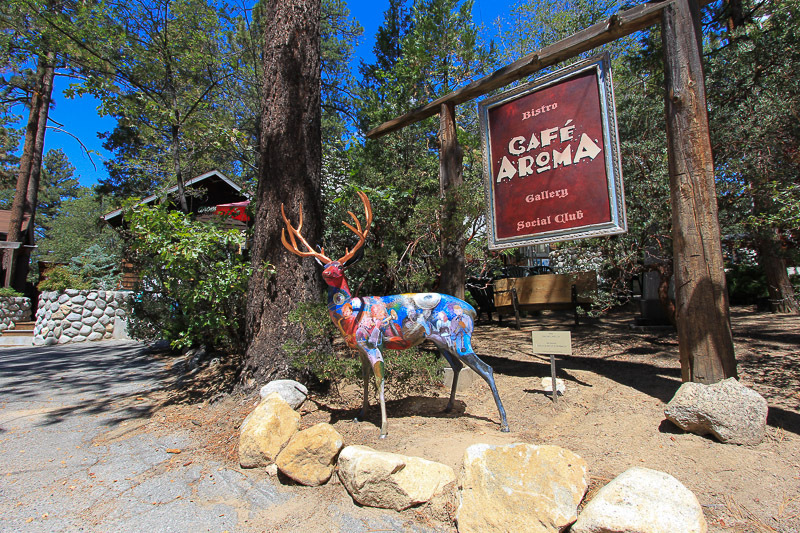 After enduring the bumpy five mile ride to the main road, we headed to Idyllwild for lunch at Café Aroma. It was a real find since the food was unbelievable. Judy had their "Ravioli Olio," made with five cheeses, sun-dried tomatoes, olive oil, basil and garlic. I had their "Sausage Lasagna," with a whole bulb of roasted garlic on the side. Fantastic!